Feel the good vibes as this shirt follows you in and out of the studio. Rendered in breathable silk interwoven with technical fibers for durability and stretch, you can soak up the comfort. A boxy silhouette upgrades the activewear look with an open neckline, slim sleeves, and tie waist. 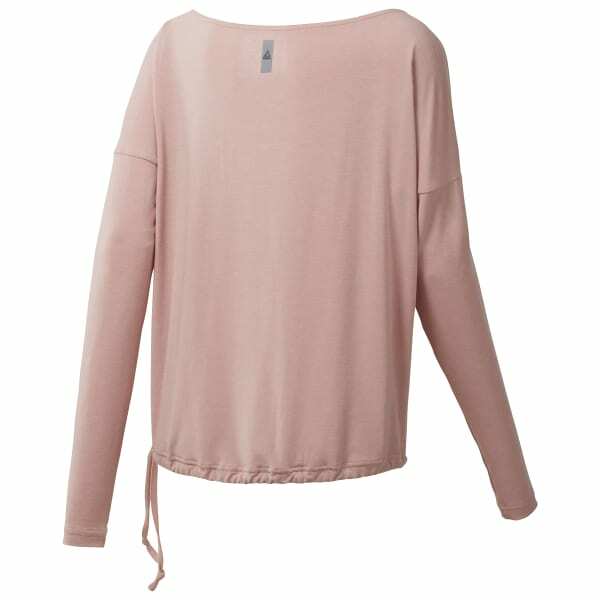 Oh-so-relaxed and warm without the weight, this tee makes an effortless cover-up wherever you go.